Here at EW we have fantastic facilities with regards to Live Production. We offer the latest in Sound and lighting control using the latest equipment within the industry. We deliver our production arts courses via the BTEC specification. BTECs are work-related qualifications suitable for a wide range of students. They're built to accommodate the needs of employers and allow progression to university. They can be taken alongside, or in place of, GCSEs and A levels. They can also form the knowledge component of Foundation Learning or BTEC Apprenticeships. Available across a wide range of industry sectors, they're continually developed and updated to meet the needs of employers and learners. 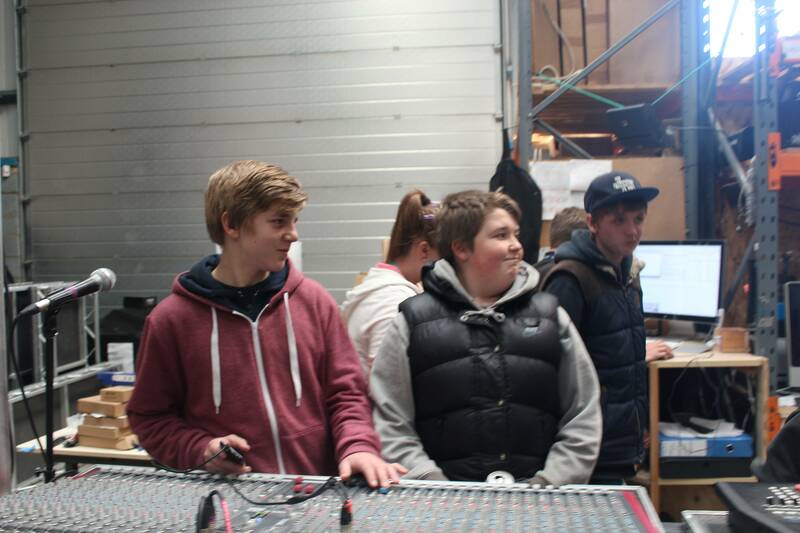 The aim of this unit is to develop knowledge and practical experience of stage lighting, sound and video equipment for use in a performance situation. The unit will provide grounding in all areas, allowing for development of particular specialisms. This is a useful unit for all learners wanting to work in the theatre, whether they are backstage or onstage. In a small-scale theatre groups all members carry out all roles. In this unit, learners will get an introduction to the operation of sound, lighting and video equipment within a performance situation. The unit serves two purposes: for performers, it is a basic introduction to lighting, sound and video presentation that will be useful in small-scale touring; for technical learners, it provides an introduction to the more detailed specialist units in lighting, sound and video presentation and production. Learners will be introduced to lighting, sound and video terminology, types of equipment, accessories and how the lighting, sound and video systems work. They will gain knowledge of the production process, including job and role allocation, the pre-production process and the production week. This covers rigs and fit ups, focus, plot and technical and dress rehearsals. Lighting: identification of different luminaries; rigging and focusing; patching; use of accessories; barn doors; iris; colour changers; gel; operation of industry-standard lighting controls; shutters. Sound: identification of different types of microphone; setting up and sound testing; use of accessories; mic stands; speaker stands; direct injection (DI) boxes; operation of mixing desk and playback equipment. Video: identification of different types of equipment; photometric data; lens angles; video sources; analogue and digital; interconnections; mixing; PC presentations; projection; fades; audio; animation; infrared. 2) Be able to apply the appropriate technical skills during the production process. Pre-production: interpretation of plans; diagrams and/or instructions; sound/lighting requirements of the show; identification and preparation of appropriate equipment; identification of own role within a technical operations team. Safe procedures: for handling and lifting heavy items; communicating and coordinating with others; working at heights; recognising potential hazards; electrical insulation; securing cables; keeping fire exits and gangways clear. Tools and equipment: access equipment; hand and power tools; electrical equipment; use of safety bonds; lens guards; heat-resistant gloves; keeping food and drinks away from operating equipment. The aim of this unit is to develop learners? skills when working as a lighting operator, and will involve researching types of equipment and colour as well as using control equipment in a stage performance. This unit provides learners with the skills necessary to provide lighting services that can enhance performances. The use of light can often enhance a production and contribute to the meaning and interpretation of a play or dance. Although learners with pre-existing technical skills can take advantage of this unit, it is designed to be available to learners centring on other specialist areas such as dance, music or drama. It allows the development of skills from basic concepts through to those skills required to light a performance. The skills developed in this unit are transferable, and even if learners do not intend a career in a technical area a solid grounding in what can be achieved, and how to implement it, is a very useful ability for any student of the performing arts. This unit provides learners with the necessary skills to identify, use and maintain a range of stage lighting equipment in common use in venues ranging from small halls to full size major producing houses. It concentrates on equipment often referred to as ?generic? lighting. Such equipment typically consists of Fresnel,profile, PAR and flood types. Learners will also be introduced to lighting control and dimming equipment and on completion of the unit should be able to be an effective member of a stage electrics team. Working individually, as well as within small groups, is a feature of the unit. Learners will be able to produce and use basic scale drawings and documentation typical of work carried out in the industry. It may be possible for some of the assessed work to be carried out at local venues or other suitable locations. Amateur and professional work experience will enhance learners? opportunities to demonstrate their lighting skills and integrate easily into the unit structure. Controls and dimmers: types; features; presets; channels; masters; control protocols; power supply and calculations. Techniques: builds; fades; crossfades; blackouts; move fades; bumps; cues; scripts, Conventions: tab warmers; full up finish; gauze bleed through; cyc washes; working lights. 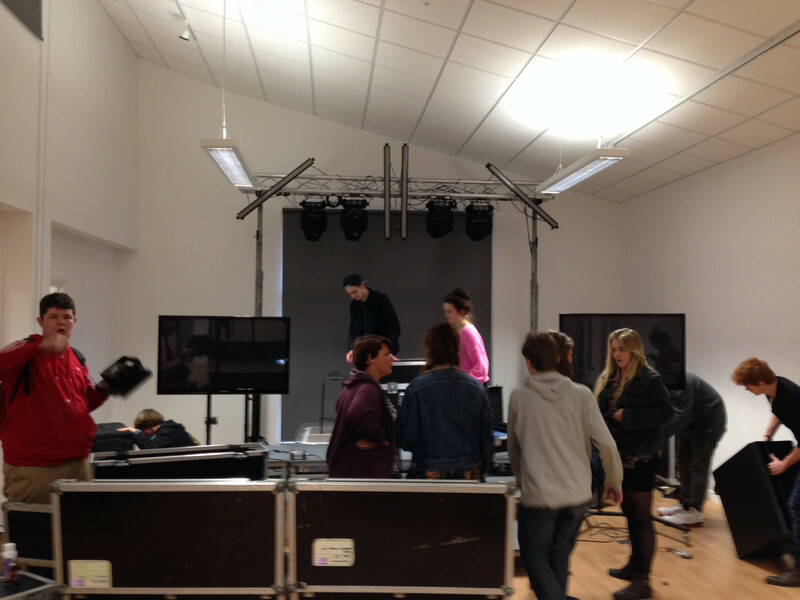 This unit enables learners to develop the skills and practices required to use sound equipment to support a production. The theatre and entertainment industry have a requirement for people skilled in the selection, installation and operation of a large variety of specialised sound equipment. Members of the general public are very aware of both the quality and ?type? of sound found in venues of all sizes, covering a wide range of genres. This unitis designed to provide essential skills across this wide range of applications. The unit content covers both the theory and practical elements necessary to be a useful member of a production team, and engage in individual work that will produce some of the common audio products such as sound effects, recordings, backing and click tracks, editing and playback. These essential skills can be used if learners go directly into the industry or asa good grounding for further study at a higher level. The unit is suitable for study by a newcomer to the sound area of production and can also be a useful methodof gaining additional skills for someone already working in the industry in a different area ? lighting and staging are good examples. Prospective learners should also note that many of the skills developed in this unit are transferable to work in associated areas. 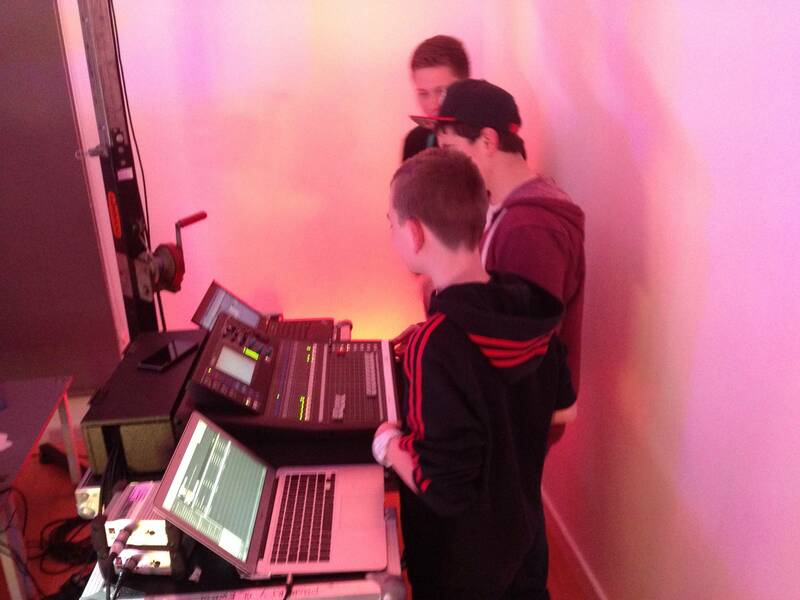 Nightclubs, churches, exhibition centres, public buildings, radio and television all require staff with a thorough working knowledge of sound operation techniques. It may be possible for some of the assessed work to be carried out at local venues or other suitable locations. Amateur and professional work experience will enhance the opportunities for learners to demonstrate their sound skillsand integrates easily into the unit structure. Design, although this is an ideal progression route through this study area. Edexcel BTEC Level 3 Nationals specification in Production Arts. Sound: wavelength; frequency; amplitude; direction; fundamentals and harmonics; octaves; frequency response; decibels (dBs); human voice and hearing. Transducers: microphone types; pick-up patterns (polar diagrams); selection and use; loudspeaker types; active and passive crossovers; connectors and cable; flying systems. 2) Be able to demonstrate skills in recording techniques and associated technology. Amplification: power supply; power output; impedance matching; levels; distortion. Operation: role of sound operator in production and performance; cue sheets; scripts and documentation;fault-finding.